"Clark might have convinced Dame that Jay-Z was the best rapper alive, but no labels were signing dude. Along with Dame and Clark, we must have shopped Jay to every label under the sun. I remember specifically sitting in Def Jam begging Lyor Cohen for a shot. He passed. I also remember how some exec at Polygram asked us why they should sign a Jay-Z when they had the platinum-selling group Black Sheep on their roster. Eventually, the only label that showed interest was this small indie called Payday Records which was run by record exec Patrick Moxey (who later managed Gangstarr). Moxey signed Jay for like 25-30K, had Jay locked in for a couple of singles and several albums. Jay dropped the single 'In My Lifetime' with minimal marketing support. You already know, the one with the yacht that Jay, Dame, and Biggs chartered with their own money. 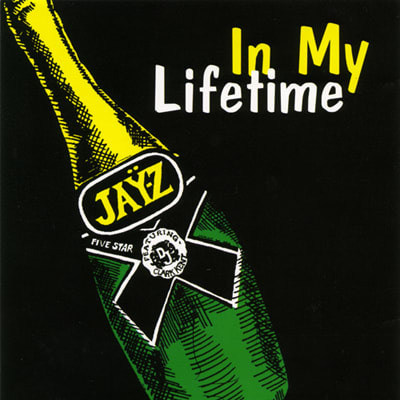 For the record, 'In My Lifetime' was Jay's second official solo single. His first was 'I Can't Go For That,' which Dame and 'em dropped from out the back of their trunks a year prior. 'In My Lifetime' was dope, but because Jay was totally unknown, the record flopped. Shortly after the single dropped, Moxey and Payday dropped Jay-Z. Yes, dropped Jay-Z. Two years later, Jay dropped Reasonable Doubt. To this day, whenever I run into Moxey, I get the feeling he can't look me in the eye because of how I know how he dropped Hov. Not a good look to say the least. No shots, though."